Sir Paul McCartney will kick off the London 2012 Olympics as Britain's answer to the spectaculars of Beijing's opening ceremony, it has been reported. 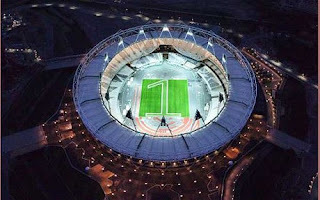 The former Beatle is set to perform in front of a global audience of billions as British talent is showcased at the games' opening ceremony on July 27. 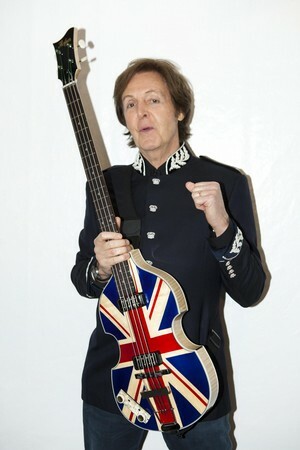 Sir Paul told Olympic organisers he's "up for" doing the show but detailed plans and choice of songs have yet to be finalised. The Rolling Stones reportedly declined an offer to perform and Led Zeppelin are also said to be staying away after frontman Robert Plant said he was not interested. A music industry source told the Daily Mirror: "The hope was to have the cream of British music all in the line up but it now looks like Macca will be joined by some younger stars on stage. "But of all the people you would want, McCartney is number one. "He is the ultimate showman and guaranteed to get the Olympics off to a great start." An attempt to reunite Sir Paul with Ringo Starr, the only others surviving member of the Beatles, was scuppered by the drummer's touring schedule which includes a summer tour of the US. Securing Sir Paul's involvement would calm nerves among organisers anxious to find a way to match the lavish spectacle of Beijing's opening ceremony, which featured choreographed performances from 15,000 performers and cost more than £61m.